This is the paper mache drying. We use only the highest quality Guardian newspaper, brown wrapping paper and PVA glue (with a little water to thin it). There will be several layers to strengthen the polystyrene hemispheres, and to attach them securely to the rest of the structure. The ribs at quarter points are for structural purposes to help with the connection to the flanges. They’re scroll sawed from 20mm polystyrene sheet, to profiles determined from the CAD drawing. They were then glued on with solvent free grab adhesive. 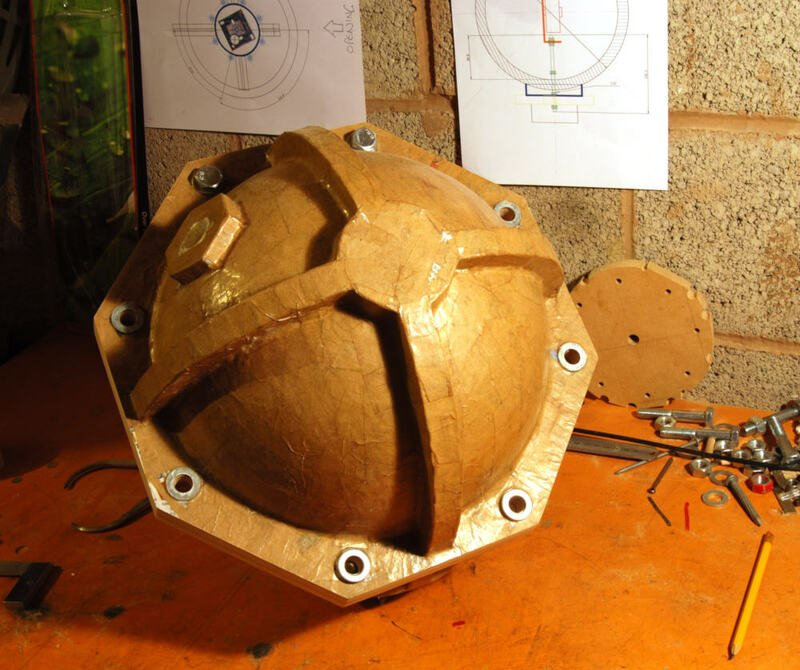 One of the most important aspects of a laboratory integrating sphere’s operation, is that light is completely reflected inwards by the casing. Here you can see a test of the basic polystyrene sphere’s internal reflectance. There is no reflective coating inside the sphere. 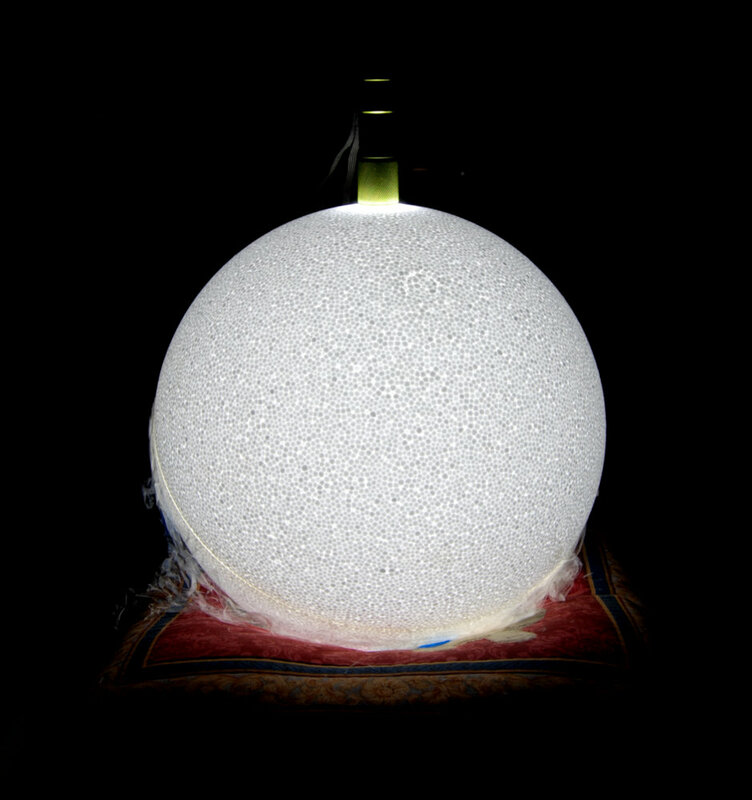 Light has been injected through a small hole using the green LED torch visible at the top of the sphere. You can clearly see light escaping though the 20 mm polystyrene wall. However, you can also see that the sphere is equally illuminated everywhere. This verifies that the sphere is integrating the light source as expected. This will ensure a uniform light distribution onto the CMOS photo detector (IP web cam) within the sphere. Several coats of matt white paint will be applied to the inside to improve reflectance and opacity. It is unlikely that a perfect Lambertian surface can be achieved, but we can hope. 200 - 300 coats should do it. Light bleed test from the uncoated integrating sphere. The variation of the light levels within the finished sphere are charted below (with the camera installed at the sphere’s centre). 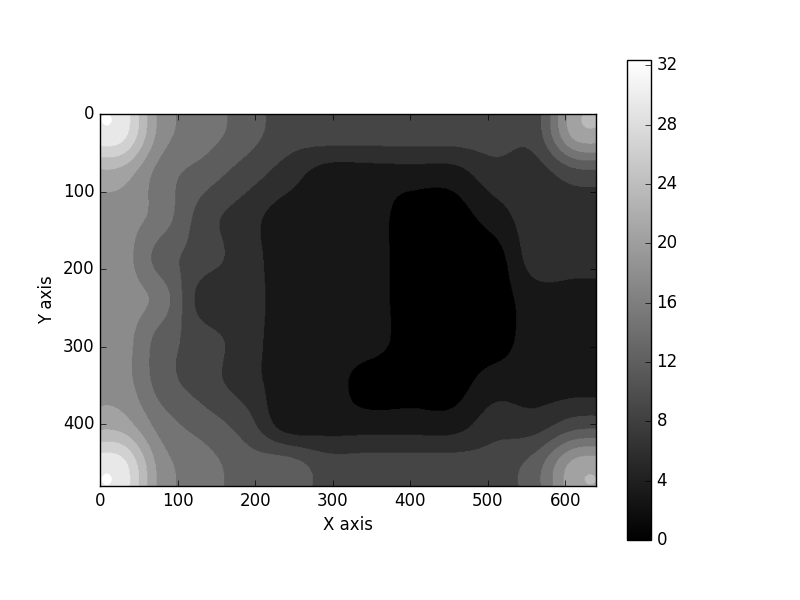 There is a maximum variation of 32%, but the cumulative plot shows the luminosity only varies 10% across 80% of the camera’s view. Strict uniformity is not as important with the Photonic Instrument as it is with standard laboratory integrating sphere tests as it only serves to maximise the sensor noise, thus entropy rate. Some good spheres achieve a 2% irradiance variation. 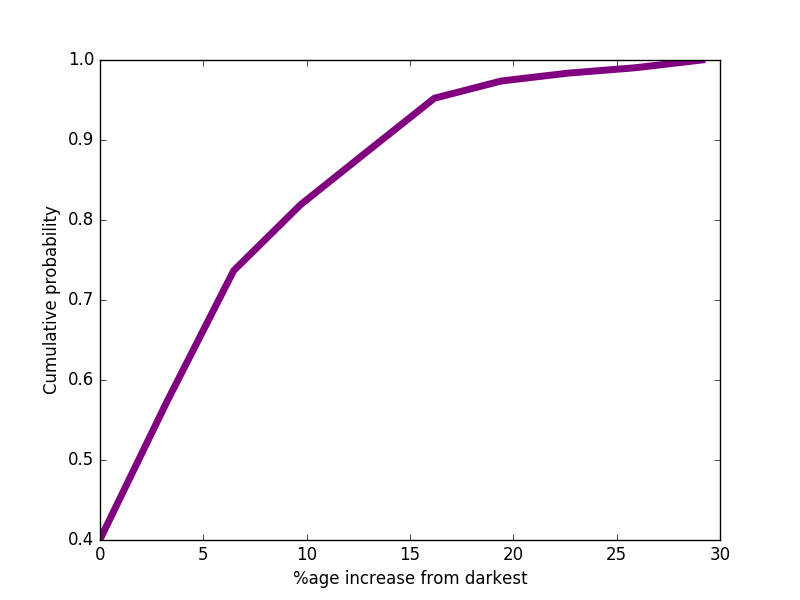 Luminance %age increase from darkest part. Cumulative percentage/change of luminosity levels.